Aerospace Industry | Customs Brokerage | Pacific Customs Brokers Inc. Does your company imports high value aerospace shipments? Educational seminars and workshops to assist you and your staff of understanding Canadian and U.S. Customs rules and regulations. Our facilitators host regularly scheduled seminars for our clients and non-clients. In addition, we offer customized seminars for businesses and their specific industry needs. 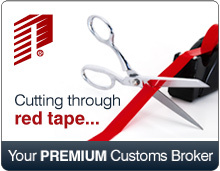 United States Licensed Customs Brokers on staff who have vast knowledge in U.S.Customs rules and regulations.